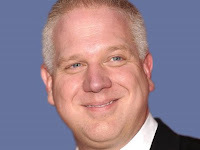 Glenn Beck opened his August 5th Fox show by listing the topics discussed by "the media" from the day before: The judicial overturning of California's Prop 8, the shooting spree in Connecticut, which he stressed to have been race motivated, and the President's birthday. He noted that there was "no mention" made in the media of the "rebuke" of the mandate in the new health care insurance bill in Missouri's Proposition C which passed 79% - 21%. Beck guessed that the media was giving the President a birthday present by not mentioning this "smack down;" and true to reputation, Beck was flat out wrong in his assertion! On her show on MSNBC the previous day, Rachel Maddow did cover this story and put it into context, something Mr. "Context Matters" did not. Maddow pointed out that the Republicans outnumbered the Democrats voting in their respective primaries two to one. She reminded viewers that election results are not just about the candidates but also about the voters who participate in those elections. context matters to this guy? That did not stop Beck from adding to this introduction, "The old problem I'm left with: How do you explain every other day of the year [when it's not the President's birthday] for the networks?" Beck's inference is clear: mainstream media is in bed with the President. Only Fox News is the network where the whole truth is told. Except, of course, Beck lied. Accepting Beck's propaganda about the media translates to: voters can not trust mainstream media to describe our world, so they should turn to Fox. Fox "News" is the platform where Beck is allowed to routinely misinform his viewers through ignorant statements - like his claim that other networks didn't cover the Prop C story - or using purposeful deceit. This is not the first time Beck has made ignorant statements about the field in which he is employed, the media. Beck has no concern whether his claims are accurate or not, and he virtually never corrects his false claims as ethical journalists must. All that matters to Glenn Beck is the narrative, the propaganda that mainstream media cannot be trusted and Fox, by implication or explicitly, can be trusted. Glenn Beck's paranoid deceit and false claims do not make him the bad apple on the otherwise healthy tree of Fox News. The Fox "News" network is a rotting tree with a few decent pieces of "edible" fruit. Any network that allows Glenn Beck to engage in his hypocritical and deceitful yellow propaganda has to be suspect for voters seeking a trust worthy source of unbiased information. The question that begs to be asked is why are the few with journalistic values still working for a media outlet with a clear, right-wing agenda? Sheppard Smith; is Fox "News" the best gig you can land? Victor, this was super good. Back when I drank the poisoned waters and believed everything said on Fox, I remember actually thinking they were truthful when they would say stuff like, "You won't see this anywhere else." Well, after I started "investigating" things, I found that they lie like that all of the time and most all other networks covered what they claimed they didn't! Beck is the worst with this jazz. Keep up the good work. You claimn Mr. Beck "is allowed to routinely misinform his viewers through ignorant statements - like his claim that other networks didn't cover the Prop C story - or using purposeful deceit", but you offer no other proof except the Prop C story. I want more! Are you able to provide more? No, or you would have in this "article". You and your Liberal counterparts seem to engage in much finger pointing, but you always come up short on proof. Oh, and I notice you wrote this prior to Mr. Beck's show this afternoon; how about waiting to see if he does retract before attacking, huh? No, because you and those like you just want to "pounce" first and ignore the outcome, whatever it may be. A very sad day is coming to our beloved country, and when it gets here, there will be those like you and Lisa Houserman that will know the ignorance of their ways. Tell you what, take an ENTIRE Glenn Beck show, and disprove everything he states line by line and then, maybe, I'll consider your statement that "Glenn Beck's paranoid deceit and false claims do not make him the bad apple on the otherwise healthy tree of Fox News. The Fox "News" network is a rotting tree with a few decent pieces of "edible" fruit. Any network that allows Glenn Beck to engage in his hypocritical and deceitful yellow propaganda has to be suspect for voters seeking a trust worthy source of unbiased information". Anonymous, go to the contents link at the top. Click it and find the singularly largest category of them all: Beck's false claims. Lots and lots of proof there. I have analyzed entire segments of his show. See "Beck's campaign speech ignores news, defies reality." I don't claim that Beck ALWAYS deceives; he blends fact and fiction to create a narrative that is deceitful overall. Just like this site, hardly any comments on this posting and only 12 followers, MSNBC is so FAR DOWN in the rankings it is not considered "mainstream" media" by the majority. Actually, the way they uphold this dishonest President and his "divide the country" policies, they are a joke. The liberals have destroyed the Democratic Party, that's why I left. Let me understand you, "Anonymous:" because there are not many comments on a blog post about Beck expressing another ignorant claim, that somehow makes this exposure less credible, right? Then there's your idea that MSNBC being so FAR DOWN the rankings when in fact they are second of three 24 hours television news channels. How have the "liberals ... destroyed the Democratic Party," by electing someone you disagree with? By continuing the reform process that has been under way in this country for 100 years? (I don't think the Democratic Party will miss a reactionary here or there.) Suppose you explain how the President - as opposed to Fox "News" - is dividing the country. Be specific because it's impossible to disprove, baseless and inane claims. MSNBC is a joke? Then you believe Beck and Fox's right wing propaganda. We're all so proud of you. Not. Anonymous, you posted this exact same lengthy comment on another site, and your analysis was flawed there too. Beck is not a "Marxist" Libertarian. I also disagree that Mormonism is a cult. There is a Mormon perspective of this Review that is none-too-favorable to Mr. Beck. I also think that Beck cannot be summarized with any "simply put." As for Beck's "homosexuality," you may be just as much of a deceitful propagandist as he is. It's not necessary to expose Beck as a liar, a hypocrite and a liar. I wish I knew who you were. You're not helping this campaign with this comment.